Mesmo Consultancy are leading international experts on ‘email best practice’ to maximise business productivity and performance. Email overload is eating into people’s working efficiency and poor emails are obstacles to good communication and engagement. Mesmo provides workshops, consultancy, masterclasses and one-to-one coaching to help business people save time in dealing with emails, and thus improve how they communicate and manage information. Mesmo is a lean business and time to follow up leads sometimes gets squeezed out in favour of meeting existing client requirements. Some opportunities were not being fully exploited, so Mesmo needed a proactive, professional and sales-focused team to sift through the leads, target the most suitable prospects and convert them into clients. Faced with a large volume of leads, the first requirement was for intelligent interrogation of the database to target prospects more tightly. However, before we started on that, we ran a Discovery Session to really get a thorough, detailed understanding of the business. From this we knew what the key parameters were for clients choosing to work with Mesmo and could therefore prioritise the leads. Once we had a more manageable list, we ran a telemarketing campaign with target prospects to introduce Mesmo and drive sales through booking courses. Alongside this, an integral part of the project was the development of an effective, easy to use CRM system so that both Mesmo and Zest could manage the process on an ongoing basis. 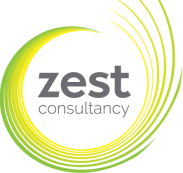 Zest was brought in by Mesmo to offer advice and convert sales and we have done both. The investment in our services has quickly paid for itself, generating many clients including one sizeable contract from a government agency which otherwise might not have been identified. In addition we have freed up more time for the owner to focus on running her business and servicing clients.